My great great grandfather John Benjamin Reeve was accidentally killed at Manvers Main colliery Rotherham. 28 January 1884 by a roof fall. He was forty years old. You may find this interesting, it was my grandfathers Certificate, Enock Reeve. 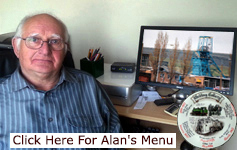 I only found this web site last week, Very informative and a credit to all those involved. I was looking at your Database for information about my father, Richard Done, I noticed you have his age at 37, this is wrong, he was 33 when he was accidentally killed at Mansfield Colliery. I recently came across your website of mining deaths while searching for information about the Hucknall Torkard Colliery. 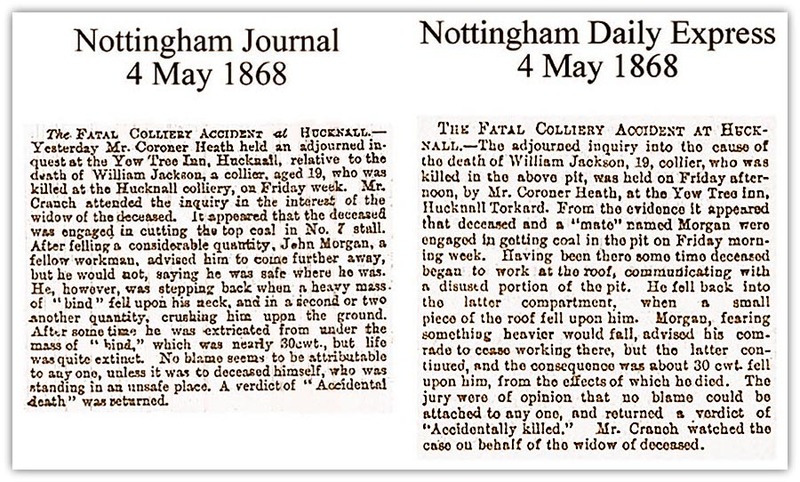 In your list of deaths at the Hucknall No 1 Colliery, you have the death of William Jackson in 1868. You state you have been unable to find much detail of the event so I am writing to help you out! Please find attached 3 documents relating to the mining accident involving William Jackson. You should be able to open the .RTF document in any word processor. The other 2 are scanned images. William Jackson is my great great grandfather. At the time of his death, he was living at Stone (or Stoney) Row in Bulwell with his wife, Sarah Jane (nee South), and 2 sons, Albert who was 1 year old and is my great grandfather, and Herbert who was just 6 weeks old. Herbert had already been baptised but his birth had not yet been registered. When his mother registered his birth (after her husband had been killed), she registered her second son as William Herbert - almost certainly in memory of her then deceased husband. William was killed on 24 April 1868 and was just 19 years old. A Coroner's Inquest was held on 25 April and 1 May 1868 - details from his death certificate, a copy of which I obtained from Nottingham Register Office. About 12 years ago, I spent a week in Nottingham, both at the Record Office and Library, researching my family. I found 2 reports of the Inquest in the local papers of 4 May 1868 and seem to recall the papers were held by the Library at the time not the Record Office. 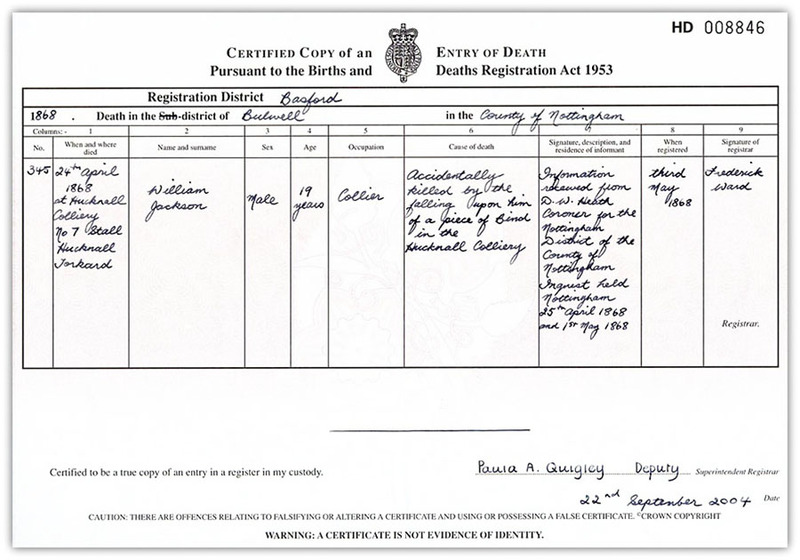 I have held the family records for the last 15 years or so and have copies of the birth, marriage and death certificates for all the family along with notes from Albert which he wrote many years later confirming all these details. In addition to this note, I have attached a copy of William's death certificate and the 2 newspaper reports.